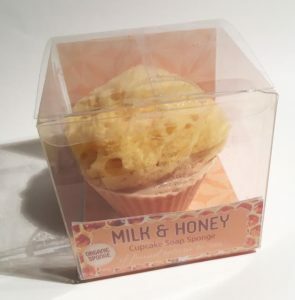 This Organic Cupcake Soap Sponge contains Goats Milk, Palm Oil, Coconut Oil, Purified Water, Fragrance and an Organic Sea Sponge harvested from U.S. waters as a 100% renewable and sustainable resource. The Cupcake Soap Sponge offers a rich luxurious lather without the use of harsh chemical surfactants all while hydrating, moisturizing and gently exfoliating at the same time. 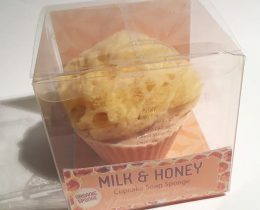 Use: Daily, Allow for Sponge to absorb water, lather soap to skin, turn sponge to skin and gently exfoliate, then rinse.